at 11:00 am followed by Mass at 11:30. Our Lady’s Farm Divine Mercy rosary services at 3:00 p.m.
with pilgrims from 1:00 p.m. to 5:00 p.m.
Our Lady’s Farm Water is available at each of the above services. Please bring a container to fill for your use. Visitation Hours: You are welcome on the grounds any day from dawn to dusk. Feel free to enjoy the Farm at your leisure. Our Lady has asked us to pray the Joyful Mysteries of the Rosary at Her shrine, the Sorrowful Mysteries at Cross Hill, and the Glorious Mysteries at the Holy Sepulcher Replica. While at the Farm, you might want to take some time to walk the outdoor Stations of the Cross. take I-71 or I-75 south, follow signs to I-471. Take I-471 south across bridge to Kentucky and follow as it becomes U.S. 27 (south). Take U.S. 27 south 19 miles to Ky. 177 at Butler, turn left. Follow Ky. 177 for 3.9 miles until it runs into Ky. 159. Turn right, go 2.5 miles. Our Lady’s Farm is on left. take I-275 east to the Wilder exit (77). Turn right onto Ky. 9AA (AA Highway). Stay on Ky. 9AA for 21.4 miles to New Hope Road (look closely). Turn right, go 2.6 miles, turn left on Ky. 10. Go 0.3 mile, turn right on Ky. 159. Go 6.5 miles. Our Lady’s Farm is on left. take I-75 north to Exit 113 to US 27 north (watch closely! US 27 makes several turns in Paris) and proceed into Falmouth. Turn right onto Ky. 22 East. Cross bridge and turn left on Ky. 159. Go 6 miles to Our Lady’s Farm on right. In June of 1992 the woman now known as the Visionary Sandy heard a lady’s voice inviting her to go to St. Joseph Church in Cold Spring, Kentucky to pray. 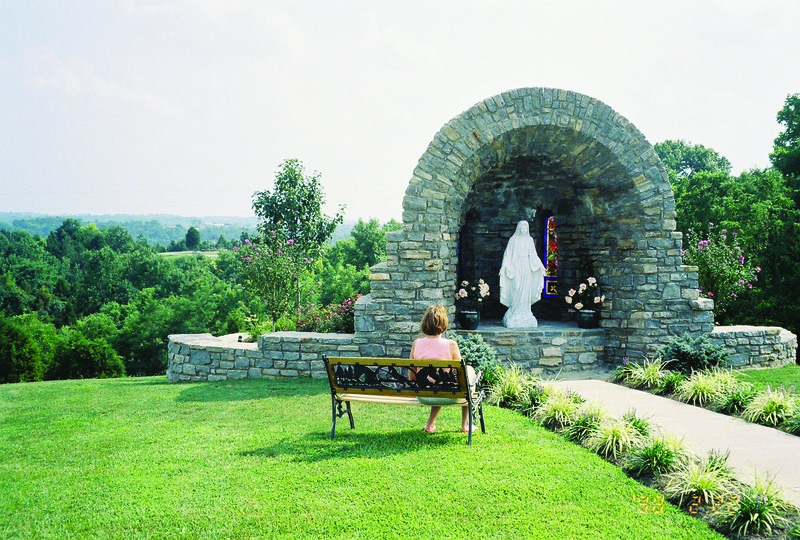 During Sandy’s first visit, Our Lady appeared to her in what was to become an ongoing series of personal communications.One day in the summer of 1993 a friend invited Sandy and some others to a farm he owned in Falmouth, Kentucky to pray the rosary. As they walked the farm grounds, Sandy heard Our Lady’s voice asking her to have a grotto built there. Later that day Our Lady appeared to Sandy above the bush where she wanted it. The Blessed Mother asked Sandy to go to the farm every eighth day of the month, starting in January of 1994. She asked Sandy to come there around 2:00 p.m. and to invite others to join her in prayer, promising them and the world a message each month. In all, Sandy received 22 beautiful messages from Our Lady, calling us to prayer and promising many graces to her children as they find their way back to God. She appeared as Our Lady of the Most Holy Rosary.Even though Our Lady’s public visits and messages at Our Lady’s Farm have come to an end, the faithful continue to meet there on the eighth day of every month, in remembrance of and thanksgiving for the grace of Our Lady’s visits to her children there. In keeping with her request, everything at Our Lady’s Farm is kept quiet and simple, with no worldly distractions, so that people can pray in peace there. Healing WatersOur Lady foretold in March of 1994 that special waters would be forthcoming near the chapel, waters that in time would bring about spiritual as well as physical healings. Water from the promised spring is now available at the Farm. 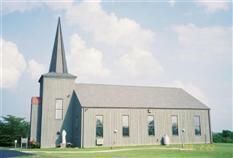 In March of 1994, Our Lady requested that a chapel be built at the farm. 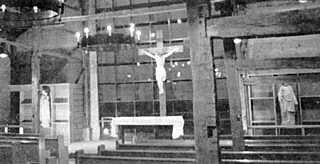 In succeeding messages she asked that the chapel be a modest structure, using as many materials as possible from the original old barn to form a simple place of prayer where all her children might come and meditate on her Son. She asked that it be called The Chapel of the Good Shepherd because of the many sheep who have been lost and who will slowly find their way back to the Good Shepherd who will nurture them and protect them. He will guide them out of darkness and into the light, where they will experience the security and warmth of His love. On entering the chapel, the visitor is welcomed into a warm, dignified environment by an etching of the Good Shepherd. The large window behind the central altar provides a bright, panoramic view of the rolling hills on the Farm and beyond. The hand-hewn timbers from the original barn provide a rustic appearance. Large side windows depict the mysteries of the Rosary and Our Lady’s Magnificat. Though the space is filled with light during the day, great iron light fixtures illuminate the overhead for evening prayer. One can almost sense Our Lady’s love pervading the chapel space. We thank our Blessed Mother for the many volunteers she sent to help with construction at her Farm, and for all the gracious donations. The results have been breathtaking. But the job continues, with a number of significant future projects such as the paving of roads and parking areas, a Living Rosary area near the chapel, water lines, permanent restrooms and repairs to the caretaker’s residence. Our Lady now guides the faithful through the inspiration of her beautiful farm but, as never before, the faithful have the opportunity to return the favor. Volunteers and donors are always welcome. Just call the Farm or Our Lady of the Holy Spirit Center to get involved.